Samir Imran, a Principal based in our Dubai office, has over 15 years of experience working with clients in healthcare, telecommunications, financial services and the public sector across a broad range of topics, including strategy development, digital transformation, and the delivery of large-scale, complex transformation programs. He has served clients in North America, Europe, and the Middle East. Samir has been instrumental in helping to build ADL's Middle East Healthcare practice. He has worked with private healthcare operators to develop investment and growth strategies, conducted due diligence of hospital information systems, and advised on next-generation digital technologies. He also designed and shaped a large privatization and transformation agenda for one of the largest healthcare institutions in the region. Samir has also advised several leading investor groups on the full life cycles of development projects, from feasibility through to operation/exit, and helped identify and develop JV opportunities with global partners. Samir also brings deep expertise in the telecommunications sector. For example, he recently helped a large telco through the strategy development, implementation and nation-wide rollout of a 3G mobile broadband network. 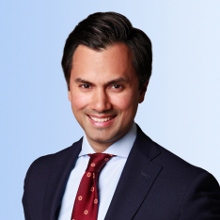 Prior to joining ADL, Samir spent 12 years in Toronto, London and Stockholm, providing strategic advisory services to blue-chip clients in both the private and public sectors. He has a real interest in the entrepreneurial space. He worked for a tech startup in Canada, developing applications for optimizing network management and performance. He is passionate about charity work, an avid golfer, and a collector of contemporary art. He lives in Dubai with his wife, Zareen, and two sons, Zayd and Zidan.